Debtor-creditor law, like bankruptcy law, is distinguished from criminal law as court proceedings whose adjudication are not dependent on the state prosecution of a criminal act. Rather, this branch of the law is invoked when the terms of a contractual agreement between a debtor and creditor/borrower and lender are not adhered to and attempts to settle disputes out of court have proven fruitless. More commonly, it is the debtor's failure to compensate the creditor for products delivered or services rendered. Debtor-creditor law does not solely exist for the purposes of credit collection, however. While the results of debtor-creditor litigation along those lines are undoubtedly important, they are usually of a purely financial nature. Arguably more importantly, though, sometimes the debtor will be a victim aside from his or her delinquency in paying the creditor. There are a myriad number of offenses for which a creditor may be charged for improper business practices. Oftentimes, debtor-creditor law as invoked by the debtor will be a response to the creditor failing to uphold the terms of service or being derelict in their duties as a professional/professional organization. Furthermore, it may also be implemented when a creditor uses deception, intimidation, defamation or some other way of improperly treating the customer in aims of getting back what is owed. 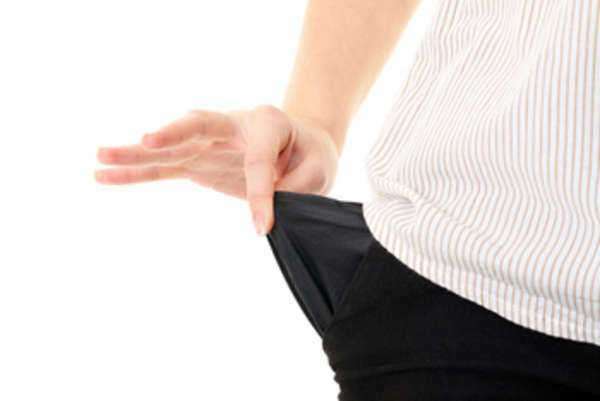 Bankruptcy and bankruptcy law in the United States are just part of debtor-creditor law. Outside of bankruptcy law, however, there is not a wealth of legislation on the federal level that pertains to the debtor-creditor relationship. Moreover, it is not as if bankruptcy law can be simply applied to cases of credit and loan disputes so liberally. Thus, while uniform laws on debt collection, credit reporting and loan contracts have been created, it is the individual states who must incorporate these provisions into their own codes. Moreover, these uniform law policies would realistically only be a supplement to state statutes and the decisions of local judges that form the basis of common law. Said statutory and judicial elements truly make up the bedrock of debtor-creditor law. As discussed above, they cover the major intents of the law in protecting both the best interests of creditors (e.g. returning property rights to them, dispersing monies recovered from sale of a debtor's possessions upon default) and debtors (e.g. compensating them for services not received and/or damages done). Moreover, they outline ways by which a court judgment may serve to settle any disputes and to bring about a speedy administration of the judge's decision. In the efforts to right the "wrongs" of debtors in failing to meet their financial obligations, creditors may err in their own right by being too aggressive with debtors. Though Federal legislation is not the primary mediator of debtor-creditor law as a whole, in terms of the consumer protection laws inherent in this subset of civil law, it is of decidedly large value. Debt collection practices in the United States, for one, have had their fair share of abuses over time, and thus, must be continually guarded against. Consequently, the Fair Debt Collection Practices Act was enacted to address these types of situations. Other pieces of Federal legislation may not be as well known as the Fair Debt Collection Practices Act, but still have their function and are nevertheless sponsored by prominent consumer protection agencies like the FTC and FDIC. The Truth in Lending Act (TILA), for one, narrows the more general focus of equity in debt collection specifically to fairness in offering loans to average people. TILA puts the onus on the lender to clearly communicate all terms of a loan contract to the borrower, including fees, the risks of taking out a loan, and the role that interest rate charges will play in the overall balance. Indeed, sometimes debtors are the ones that need protection. Just as well, though, it may be creditors' rights to their property and money that are in need of protection. One branch of debtor-creditor law that is of noted significance to many debtors is lien law. A lien is essentially insurance for the bank or other lender that they will be able to recoup an asset if a debtor doesn't make his or her payments. Often, this manifests itself in a lien secured against a house, which borrowers can willingly agree to in the form of the common mortgage. Just as virtually any loan or extension of credit may be a basis for debt, so too may any secured loan. Even in the absence of a lien, creditors may still seek relief from the court as per State statute and their very rights as creditors to their money/assets in the event debtors refuse to pay the agreed compensation. Granted, these remedies are largely similar to one another, but have their important differences just the same. Attachment and replevin, for example, both involve the seizure of the debtor's goods as a means of covering his or her debt. However, replevin seems more interested in giving back stolen or illegally withheld possessions to creditors. Attachment is a more general process by which monies or assets are secured from the debtor with evidence they are owed a certain amount. Other remedies, meanwhile, are slightly more specialized in how they operate. For instance, garnishment is usually manifested expressly as a deduction of up to a quarter of one's paycheck to satisfy a debt upon court order. Furthermore, an employer cannot stand in the way of collections through this avenue. As for receivership/custodianship, the hallmark of these solutions is that they make use of a third-party mediator/holder of properties, somewhat like a trustee. When debtor-creditor law and bankruptcy do coincide, there must be standards by which the distribution of liquidated and reorganized assets to multiple creditors is governed. Indeed, as specified by Section 507 of Title 11 of the U.S. Code, a priority of claims system brings a sense of order to the collection process. Highest up on the ladder in terms of priority are certain non-dischargeable debts. In all, though, a number of different kinds of debt have their place in the claims priority breakdown. In a manner comparable to out-of-bankruptcy garnishment orders, wages may also be used to defray balances on debt. Taxes also are by no means negligible, and things like income taxes and property taxes are thus covered by Section 507. Even restitution for vehicular manslaughter is considered a priority claim.